What: The project aims to improve the area for the threatened Squirrel Glider. Funding: Woolshed Thurgoona Landcare Group has secured funding from the Albury Conservation Company to undertake environmental works along the river and foreshores around Lake Hume Village. A general introduction to the project with aid of a Landcare map. 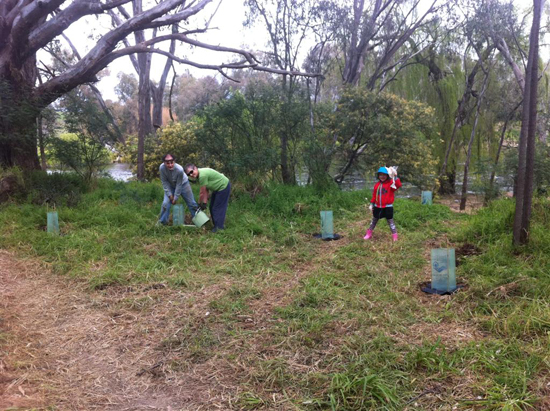 9 adults and 2 children attended during the event, the majority from outside the Landcare group. Over 100 jumping trees and Acacia food source trees were planted on the day. The sites were sprayed the previous week, and whipper- snipped the previous day. 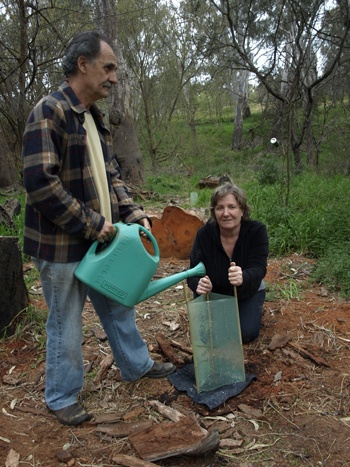 Improved habitat for the threatened Squirrel Glider and other native species. Additional Information: There will be several future activity days for this project. Another event is planed to install nestboxes as soon as they are available. Check this website and or the Ecoportal website for notification.